2739 Upholstered Posture Back. Momentum Estrella, Lumen (YFT1). JN106S 90" x 88" Freestanding Leg“V” Shaped Configuration. White (WHT) with Tungsten (TU2) legs. PN1920S Mobile Stool. Winter Cherry (WCR) with Momentum Estrella, Lumen (YFT1). Getting people together couldn't be easier. Junction is an affordable solution for boardroom, classroom and presentation room applications. Tables can be set up in freestanding or shared leg configurations using Junction’s unique "Y" leg. Shared leg configurations provide a cleaner look and more leg room, while freestanding configurations provide flexibility for changing environments. 1899 Mesh Medium Back Armchair. 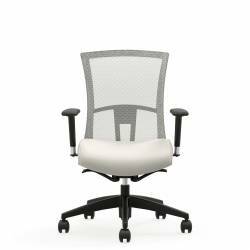 Momentum Malmo, Aquavit (YRZ5) seat and Winter Grey (WG) mesh back. IT2460RX Easy-touch FliptopTable. Nested flip top table with optional modesty panel. White Chocolate (WHC) with Tungsten (TU2) legs. IT2460RX Easy-touch FliptopTable. White Chocolate (WHC)with Tungsten (TU2) legs. 2gether creates dynamic spaces for people to easily connect and learn. Join them in rows for the next seminar, rearrange in groups to exchange ideas or fold them down and roll them away until needed. 2gether works great and looks great in any setting, any time. Z48144BE 12﻿' Boat Shaped Table, PLRTM202T Power Blocks. Absolute Acajou (ACJ). 2661-8 High Back Weight Sensing Synchro-Tilter. Allante White (A48E). Formalize the setting and stay connected. ZIRA boardroom tables are available in four top shapes (Rectangular, Racetrack, Boat, and Bow End) in overall lengths from 8ft to 24ft. Power and technology options can be specified in the table tops with convenient access doors in the table bases to keep power and communication supply connections out of sight. 6577 Armless Chair, Casters. Caribbean Surf (CRS) with Tungsten (TUN) finish. JN608B Rectangular Table, "Y" leg. White Chocolate (WHC) with Tungsten (TU2) legs. Kickstart your first learning environment. If you need to stretch the budget to make it happen, Junction tables and Sonic seating are a great way to implement that first learning environment with all the basic features you need to get going. 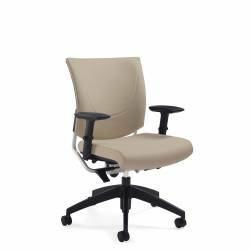 6322-8 Upholstered Medium Back Weight Sensing Syncho-Tilter. 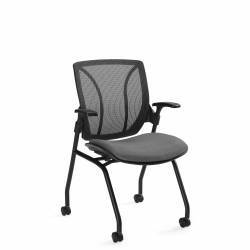 Urban, Black Coal (UR22) seat andBlack (MS69) mesh back. R8WSTM Rectangular Conference Table. Dark Espresso (DES) with Tungsten (TU2) base. Keep the team supported during long meetings. Working meetings can take time and require seating solutions with greater flexibility and adjustment to keep the team supported. 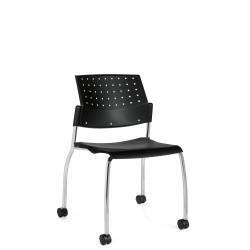 Vion seating offers an extensive selection of models to fit everyone in the room. B5672FPB Flip Presentation Board. Tiger Maple (TMP). 1899 Mesh Medium Back Armchair. Dani Leather, Chartreuse (CO81) seat and Spring Green (SG) mesh back. 1871 Armless Medium Mesh Back Stool. 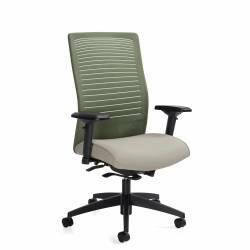 Dani Leather, Chartreuse (CO81) seat and Spring Green (SG) mesh back. BX2472RES Table and BX72MP13Modesty Panel. Tiger Maple (TMP) with Silver (SI) legs. Configure the classroom. Enhance your learning. Here's a combination that can turn a minimum of space into an effective classroom or presentation room on a moment's notice. Roma seating and Bungee tables nest and roll like grocery carts to save time and space.